Password is an American television game show which was created by Bob Stewart for Goodson-Todman Productions. The host was Allen Ludden, who had previously been well known as the host of the G.E. College Bowl. 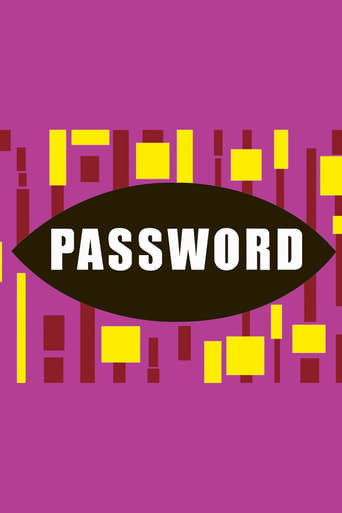 Password originally aired for 1,555 daytime telecasts each weekday from October 2, 1961 to September 15, 1967 on CBS, along with weekly prime time airings from January 2, 1962 to September 9, 1965 and December 25, 1966 to May 22, 1967. An additional 1,099 daytime shows aired from April 5, 1971 to June 27, 1975 on ABC. The show's announcers were Jack Clark and Lee Vines on CBS and John Harlan on ABC. Two revivals later aired on NBC from 1979–1982 and 1984–1989, followed by a prime time version on CBS from 2008–2009. In 2013, TV Guide ranked it #8 in its list of the 60 greatest game shows ever.